November’s client highlight is Bluegrass Hemp Oil. CBD (cannabidiol) was the long-awaited solution to Colten Polyniak’s epileptic seizures. His long journey of trials and errors with pharmaceuticals, harsh side effects, and unknowns came to an end with parents, Adriane and Bill Polyniak, discovered CBD’s beneficial treatment for seizures. Colten is now seizure, pharmaceutical and side-effect free, and Bluegrass Hemp Oil was created. The company is family owned and operated in Lexington, Kentucky. CBD is one of the naturally occurring, non-psychoactive compounds found in hemp, a plant that is part of the cannabis family. It is known to have a host of health benefits including reducing seizures, pain, anxiety, and inflammation. The Polyniaks cultivate and produce high-quality CBD oil for Colten and for the many others who need the relief that CBD oil provides. Their products include extracts, eLiquids, lip balm, bath soaks, soap, honey sticks, jam — and more on the way for 2019! I love working with Bluegrass Hemp Oil and telling Colten’s story that is at the heart of their brand.  Iron Skillet Media helps Bluegrass Hemp Oil get the word out about their products and events by writing and distributing press releases and coordinating interviews and photography with the media locally, regionally and nationally. Check out their products at www.bluegrasshempoil.com! Let me know if you give them a try! The photo above is me touring Bluegrass Hemp Oil’s hemp plants-all locally grown in Lexington, Kentucky!